Obituary for Jean T. (Rider) Overbaugh | Feiser Funeral Home, Inc.
Jean T. (Rider) Overbaugh, 83, died Tuesday, March 19, 2019, at Hanover Hall. She was the wife of the late Max Overbaugh, her husband of 62 years, who died October 31, 2017. Jean was born August 18, 1935, in New Oxford, the daughter of the late Carroll and Helen (Breighner) Rider. 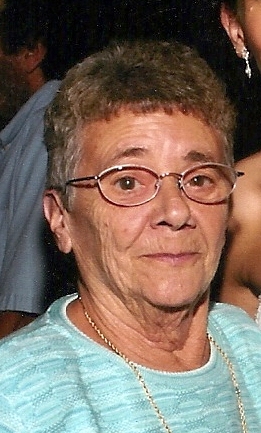 Jean was a member of Immaculate Conception Catholic Church in New Oxford. Jean is survived by three daughters, Lu Ann Eichelberger and her husband Gerald of York, Shawn M. Overbaugh of Hanover, and Tracy L. Schaszberger of McSherrystown, six grandchildren, six great grandchildren, and a sister, Carol Kessel of Hanover. She was predeceased by a brother, Terrance Rider. Following cremation, a Memorial Mass will be held on Tuesday, March 26, 2019, at 10 AM at Immaculate Conception Catholic Church, 106 Carlisle St, New Oxford, with Rev. Michael Letteer officiating. Burial will be in the church cemetery. Family and friends may meet at 9:30 AM at the Feiser Funeral Home, Inc, 302 Lincoln Way West, New Oxford, to proceed to the church for Mass. Memorial contributions may made to the church. Memories may be shared at www.feiserfuneralhome.com.